We already have six teams through to the third round of the 2015 March Madness and by the close of today’s play; we’ll know how the weekend is shaping up. If you thought it was going to take a while for March Madness to spring to life, you may have been surprised at how quickly the Big Dance has found its feet this year. This was a comprehensive one for the top seeds and there were no real surprise at the Wildcats moving on to a 35-0 record with this big win. Hampton’s season is now over and they finish with a 17-18 record. The top man for the Wildcats was Karl-Anthony Towns who managed to grab a double-double with 21 points and 11 rebounds. While Kentucky were always in control, Hampton remained close until a 12-0 scoring run late on in the first half opened up the distance between the sides and the Wildcats never looked back. This was a game that went right to the wire and when it comes to excitement, you will struggle to find more March Madness games that beat this one. The Cincinnati Bearcats may have lost their top scorer in the second half because of an ejection but the number 9 seeds rallied to beat the number 8 seeds in overtime. Troy Caupain was the key player, grabbing 10 points, 4 assists, 3 rebounds and 2 steals while he was also the player that grabbed the points that forced the game into the additional session. Rapheal Davis of Purdue almost clinched the win at the end but he missed a 3 pointer and the Bearcats move on in this tournament. 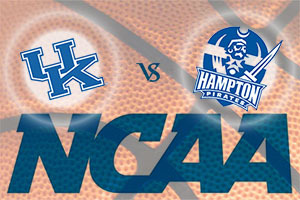 The outcome of these games means that Kentucky will take on Cincinnati on Saturday the 21st of March. With two minutes to go there was only one point in the game but the Bulldogs raced away with a 12-3 run to seal a win that sees the number 6 seeds progress through. Texas became the third Big 12 team to exit the tournament. Kellen Dunham grabbed 20 points for the Bulldogs and he was their only player to break into double figures in this game. Northeastern may have enjoyed a short but sweet time in their first March Madness in 23 years but they managed to give number 3 seeds Notre Dame quite a scare. With less than 7 minutes to go, Notre Dame had an 11 point lead but this was the cue for Northeastern to rally and they hauled themselves to within 2 points in the last minute of the same. Sadly they endured a turnover and then missed out on a three point shot in the last two possessions they held but Notre Dame know that they were in a game. Zach Auguste had a great game for the Fighting Irish with 25 points, 5 rebounds and 2 assists. 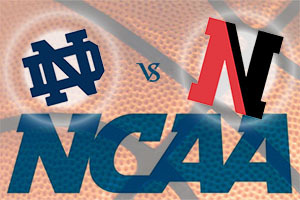 The outcome of these games means that Butler will take on Notre Dame on Saturday the 21st of March. As many people predicted, this was a cruise for Villanova in a game that they led from start to finish. Daniel Ochefu was a big player in the game, offering up 14 points, 9 rebounds while also managing to block three shots. 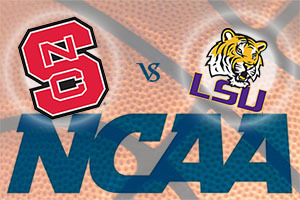 LSU held a 14 point lead at half-time but they collapsed in the second half, allowing the Wolfpack to steal it with a buzzer beating shot. This was the pinnacle of a day of drama and excitement in March Madness with the number 8 seed progressing by the skin of their teeth. The top player for North Carolina State was Anthony Barber who grabbed 17 points, 5 rebounds and 2 assists. The outcome of these games means that Villanova will take on NC State on Saturday the 21st of March. With some tight finishes, there were plenty of big moments for people betting on Euroleague games to look out for and you can bet that there will be plenty more big moments and great action on the Friday games in March Madness. The brackets for Friday the 20th of March throw up the following matches and in all, of the pairings, the winning sides clash on Sunday the 22nd of March. There is still plenty of time to start betting on March Madness if you haven’t already done so but you may miss out on great some games if you don’t take an interest in what is unfolding on Friday.